The Magik*Magik Musical Petting Zoo is a collection of instruments representing each of the four families of the Orchestra for kids (and adults) to try out for themselves. 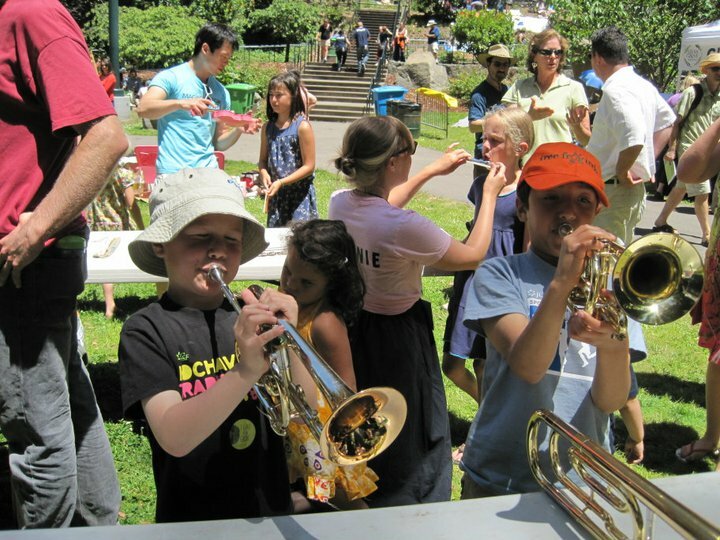 The Zoo includes violins, clarinet, flutes, recorders, cornets, trombone, and percussion. With members of the Magik*Magik Orchestra acting as Zookeepers, the Zoo has appeared at the Contemporary Jewish Museum, the Stern Grove Festival, at Herbst Theatre for Magik's 3rd anniversary show with John Vanderslice, at the Zeum, and at the SF Friends of Chamber Music's LIVE + FREE day. 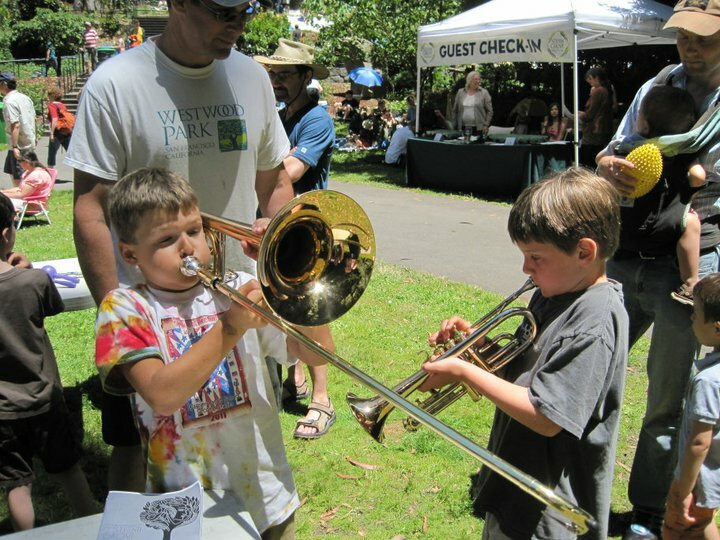 A young duo performs on the Magik Musical Petting Zoo's cornets. Lucas shows a young visitor how to play violin on a pink instrument just her size.